The new changes will come into effect on 18TH March 2018. This marks the end of the original 457 Temporary Work Skilled Visa, which has been replaced with the 482 visa (Temporary Skill Shortage Visa, Subclass 482). Employer guarantee applications submitted before 18th March will still be handled according to the original policy. The nomination application submitted by existing 457 visa holders will still be handled according to the original policy. 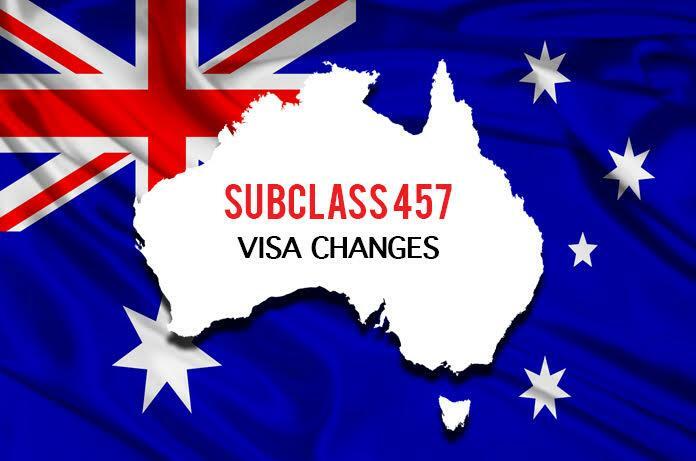 Like the original 457 visa, the applicant for the TSS 482 visa also needs the employer to obtain the sponsorship first, and can then be eligible for job nomination. Employer guarantee permanent residence visas 186 and 187 have also significantly increased their application requirements as previously announced. In addition to this, TSS visa nominee applicants must work for at least 2 years in designated occupations or related fields and the salary should not be lower than the average industry level in Australia for the position. Employers nominating this position are required to enforce the Labor Marketing Test, which means that the employer has proved that he has attempted to recruit local workers before securing the applicant. Applicants in the short-term career list STSOL can obtain a work visa of up to 2 years (except for holders of international trade agreement passports); applicants in the medium and long-term career list MLTSSL can obtain a work visa of up to 4 years, they are eligible for applying for PR (Australian Permanent Residency). However, it is worth noting that in the original legal text, the Immigration Bureau left a gap in the career transition 186 (PR) on the Short-term list. If the applicant meets the conditions set out by the Minister of Immigration in the laws and regulations, it can be transferred. Now the laws and regulations have not yet been introduced. For the 482 applicants on the short-term career list, the immigration office has officially introduced a GTE clause (real short-term residence) similar to the student visa. The immigration office is authorised to consider the applicant's visa history and personal background to assess applicants’ eligibility. The Direct Entry Stream of employer-guaranteed immigrant 186 and employer-guaranteed immigrant 187 visas in remote areas requires a change. The nominated occupation must be on the medium and long-term occupation list MLTSSL, and the other 187 adds a three-year working experience requirement similar to 186.